Justin DeVine comes up with a mashup that seems pulled straight from a Black Lodge dream. 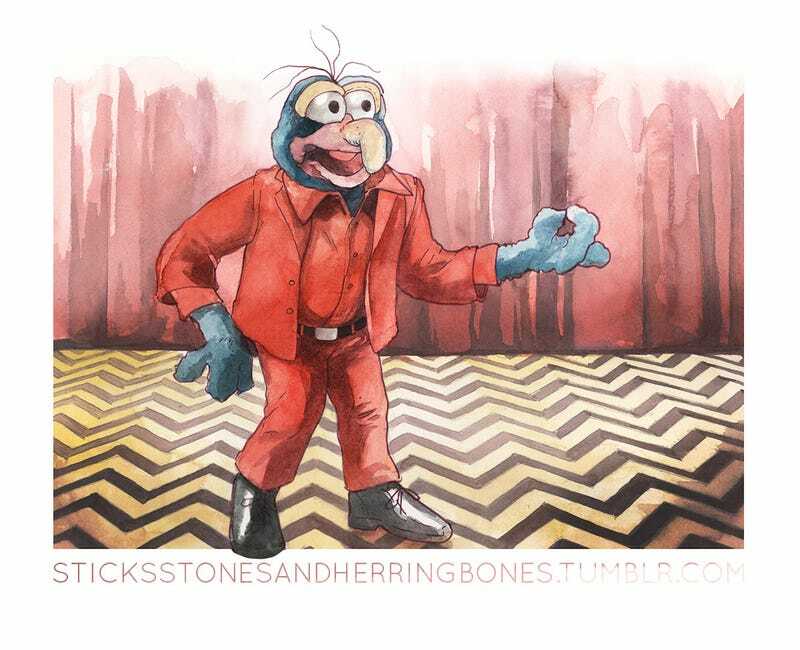 In his illustration series, the furry and felt Muppets become the oddball residents of Twin Peaks. Head over to DeVine's Tumblr to see the rest of the series, including a grim shot of Piggy as the deceased Laura Palmer, Dr. Teeth as Lawrence Jacoby, Sam the Eagle as Major Garland Briggs, and Animal as Killer BOB, naturally. If you dig his watercolors, you can also grab the prints from INPRINT.